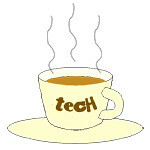 players « Tech bytes for tea? The two new RZ Series 7.2-channel network A/V receivers from Onkyo are enabled with DTS:X & Dolby Atmos support. Both the TX-RZ900 (S$2,899) and TX-RZ800 (S$2,299) are now available in Singapore. Top: TX-RZ900 (S$2,899) and Bottom:TX-RZ800 (S$2,299). The new receivers feature Wide Range Amplifiers that extends to 5Hz, and elimination of digital pulse noise with its Low Noise Processing capabilities to produce clearer sound. Users can also enjoy wireless audio with its Wi-Fi, Airplay, and Bluetooth support, as well as built-in services such as Spotify and Pandora. Pioneer’s existing AVH-X8650BT and new AVH-X8750BT in-dash car multimedia receivers can now access Apple CarPlay in Singapore. Pioneer introduces Apple CarPlay in Singapore with the two aftermarket in-dash car multimedia receivers. Pioneer Electronics AsiaCentre has announced the availability of Apple CarPlay in Singapore. “Pioneer’s years of expertise integrating smartphone connectivity into the automotive environment has provided us the opportunity to be among the first to offer Apple CarPlay to drivers,” said Isao Nomura, Deputy General Manager for Business Planning and Marketing Division of Pioneer Electronics AsiaCentre. Accessible in Singapore on two of their aftermarket in-dash car multimedia receivers, the existing AVH-X8650BT and the newly-released AVH-X8750BT, consumers can now enjoy a smarter, safer and more fun way to use their iPhones in the car. Apple CarPlay uses Siri voice control to enable iPhone users to safely enjoy selected apps on large, in-dash Pioneer LCD displays, while staying focused on the road. With Apple CarPlay, consumers with the latest version of iOS on their iPhone 5 or later, including iPhone 6 and iPhone 6 Plus can use Siri to make and receive calls, compose and respond to text messages, use Apple Maps for navigation and listen to their music and podcasts. The new iPod touch lineup starts at S$278. Apple today announced its 16GB iPod touch is now available in vibrant colours and equipped with a 5 megapixel iSight camera. The entire iPod touch lineup features the 5 megapixel iSight camera with 1080p HD video recording, brilliant 4-inch Retina® display, Apple’s A5 chip and FaceTime camera. iPod touch features an ultra-thin and light anodised aluminium design and is available in pink, yellow, blue, silver, space grey and (PRODUCT) RED. iPod touch comes with iOS 7, offering more than 200 features including Camera app filters that let you easily add real-time photo effects. Huawei has unveiled a slew of mobile devices, launching premium handset range Honor 3X, world’s slimmest 7-inch tablet MediaPad X1, Mobile WiFi Miao Wang and home entertainment device MediaQ. The home entertainment device MediaQ is one of four devices Huawei launched in Singapore. All the new devices are available in Singapore now, except for the 4G version of the MediaPad X1, which will be available in June 2014. For more details, the press release is appended below. Sony Electronics today announced the launch of two new personal audio products, the Walkman NWZ-ZX1 (S$899) and Liner Pulse-code modulation (PCM) Recorder PCM-D100 (S$999). Available in Singapore from February onwards. Sony has just announced that 30 units of the NWZ-ZX1 can now be pre-ordered exclusively at Sony Stores and Centres in Singapore, whilst stocks last. Audiophiles have from now till the end of the month (31 March 2014) to place their orders in person. Delivery will be from 11 April onwards. For those who miss out on the first 30 units, they can purchase the NWZ-ZX1 in stores from May 2014 onwards. The NWZ-ZX1 was originally planned to be available in Singapore in February but this has been pushed back to May due to high global demand of the Walkman. Sony Recorder PCM-D100 (left) and Walkman NWZ-ZX1 (right). The Walkman NWZ-ZX1 is Sony’s first music player that supports Hi-Res Audio, offering listeners up to seven times the audio quality of a CD. Powered by Android, it has a 4-inch TRILUMINOS Display for mobile touchscreen enables the easy viewing of music files, photos and videos on the device. The new Walkman is carved out of a single piece of aluminum and has a molded base at its rear that acts as an amp block, with a rubberised back grip for added comfort and stability. The ZX1 is the largest capacity Walkman ever created by Sony, with built-in memory of 128GB that is capable of storing High-Resolution Audio content equivalent to approximately 800 songs. For more details and key specifications, here is the press release for the new Sony Walkman NWZ-ZX1. The Bose SoundTouch is available for pre-order from Atlas e-Store. Prices range from S$639 to S$1,099. Atlas Sound & Vision in Singapore, has introduced its first Bose Wi-Fi music system enabling users to stream music wirelessly in any room with Bose’s lifelike audio quality and ease-of-use. The SoundTouch 30 Wi-Fi system (S$1,099) measures approximately 10 x 17 x 7 inches. It features exclusive waveguide technology and a new proprietary woofer to deliver deep, rich sound and the power to serve as a home’s main music system. The SoundTouch 20 Wi-Fi system (S$639) is more compact at about 7 x 12 x x 4 inches. It offers natural, room-filling sound and can be placed almost anywhere. The SoundTouch Portable Wi-Fi system (S$639) combines full-range audio and a rechargeable, lithium-ion battery in a speaker no bigger than the average book – about 6 x 10 x 3 inches. Take it with you in and around the home, and the music keeps playing. Through the home network, the Bose SoundTouch communicates wirelessly and can be controlled from an app available on Android, iOS, Mac OS and Windows systems, and can be downloaded and installed on mobile phones, tablets, laptops or desktops. The compact integrated audio system pumps out powerful music that easily fills the room with even tonality. Regular price: S$6,450. Promotional introductory price: S$4,588. The McAire sports a high gloss black finish, signature McIntosh blue output meters, glass faceplate and a knit cloth grille (also in black) with magnetic attachment. The McAire is the most affordable system from McIntosh which specialises in the ultra-luxe AV market. “… individuals who demand the very best can finally enjoy a complete high fidelity McIntosh music system as a lifestyle or second system for their rooms or executive office, that is handcrafted in Binghamton New York alongside McIntosh’s other super premium components, for under a 5-figure sum,” said Malcolm Ong, Chief Executive Officer of the Ong Radio Group. The next in line is an all-in-one system (McIntosh MXA60) that includes a CD player and a tuner, which goes for S$16,050 (although there’s currently a promotional price of S$12,888. Ong Radio Group launched the McIntosh McAire in Singapore last Friday, timing its debut in Singapore with the 76th anniversary of the high-end home entertainment system distributor and retailer. The McIntosh McAire features Apple’s AirPlay wireless technology which allows users to stream audio from an iTunes library on a Mac or PC – or music from an iOS device – over an existing Wi-Fi network at home or an executive suite. Each McAire unit is built with the same high end technology used in McIntosh’s super premium reference system.